CHITWAN, Oct 12: Bharatpur Mayor Renu Dahal who had won her recent elections in controversial fashion, has voted for her former rival CPN-UML candidate in Chitwan District Coordination Committee (DCC) election after her party, the CPN (Maoist Center) formed election alliance with the the CPN-UML. With the Maoist Center also choosing to vote UML candidates, UML candidates managed to win all the nine positions of the DCC with a clear majority. UML candidate Krishna Kumar Dallakoti has been elected DCC coordinator. Chiefs and deputy chiefs of local units can vote to elect DCC officials. In the recent local elections, UML had won chief and deputy chief positions of only four municipalities out of the total seven in Chitwan. On the other hand, Maoist Center had won Bharatpur Metropolitan City and Madi Municipality. Likewise, the ruling Nepali Congress (NC) had won chief and deputy chief positions of Icchhakamana Rural Municipality, as well as deputy mayor of Bharatpur. 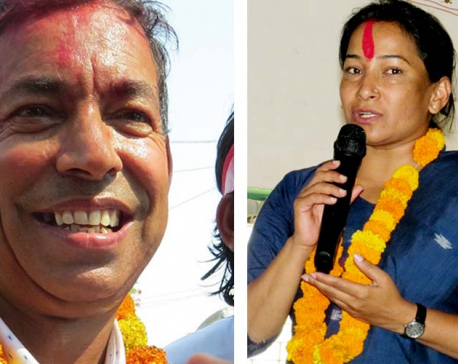 Although NC could easily win the Bharatpur Metropolitan City, the party had supported Maoist Center in the mayoral position following an electoral adjustment between the two parties. “Our old electoral partner NC could not garner sufficient votes. 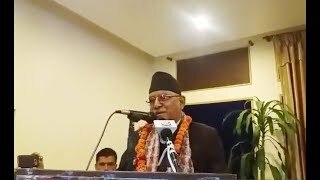 And as we already formed new electoral alliance with the UML, we decided to vote for UML,” said Yam Bahadur Pariyar, the coordinator of Chitwan chapter of Maoist Center.